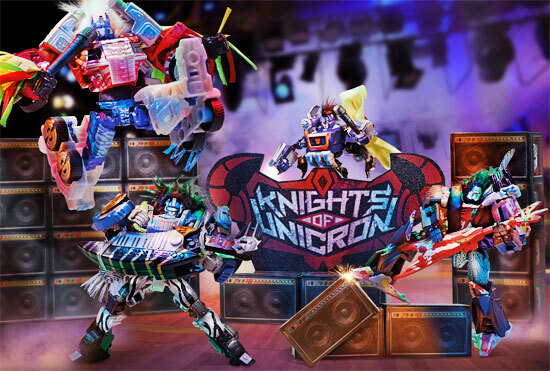 In honor of the 30th anniversary of the Transformers brand, there will be a Special Edition collector's set named "Knight of the Unicron". This set is having 1980s rock feel. There even have some poster of it! 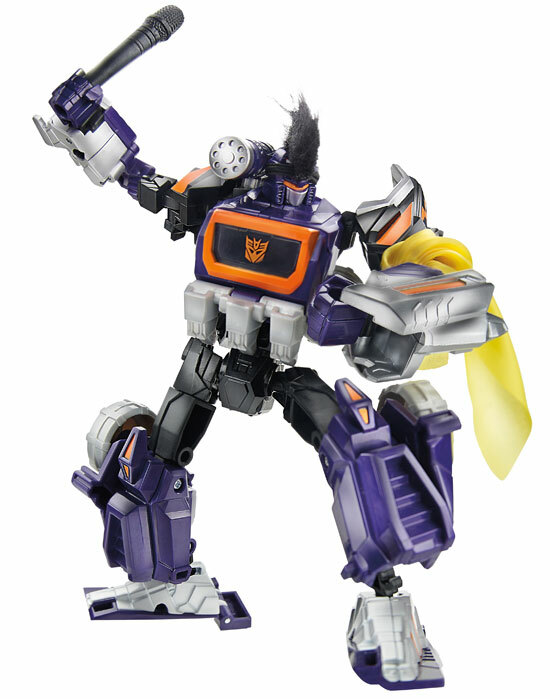 THis Knight of Unicron rock band consist of Soundwave as the lead rock singer! 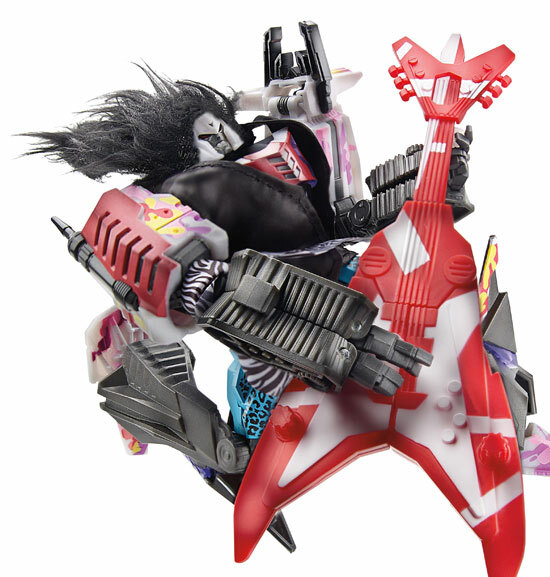 Megatron with Laserbeak as Guitar. Look at those hair! 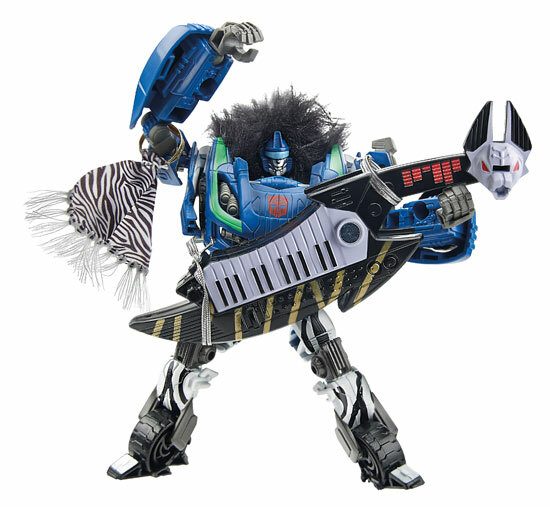 Smooth Jazz with Ratbat as a keytar...Jazz has hair too! 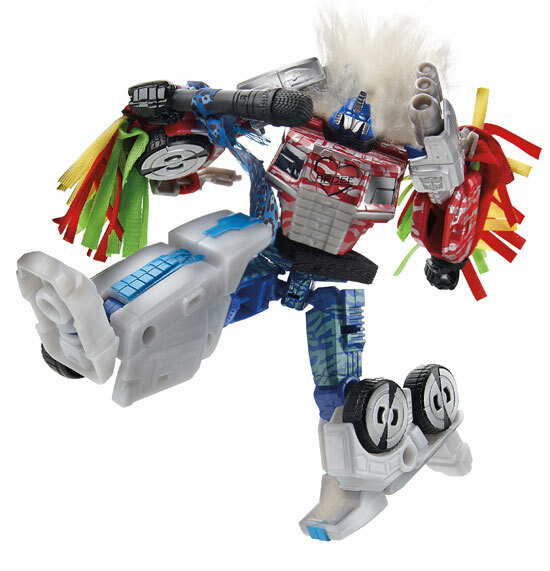 Last but not least, Optimus Prime joining in as a Singer too! 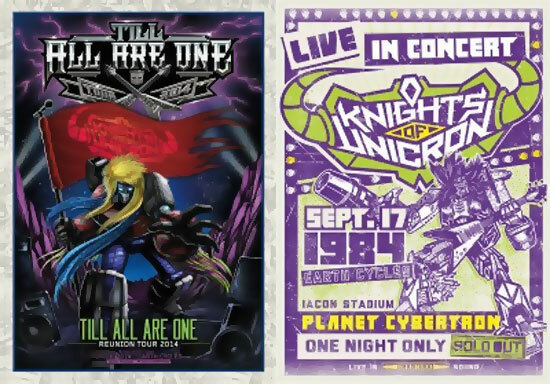 The whole exclusive set includes special edition posters, stickers, a concert ticket, All-Access VIP pass, and tell-all history booklet depicting the journey of the Knights of Unicron. If you are into Rock and 80s, this set could be for you! 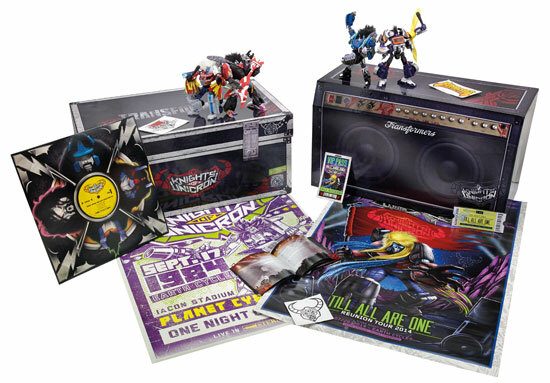 Do you wanna get this set to rock?